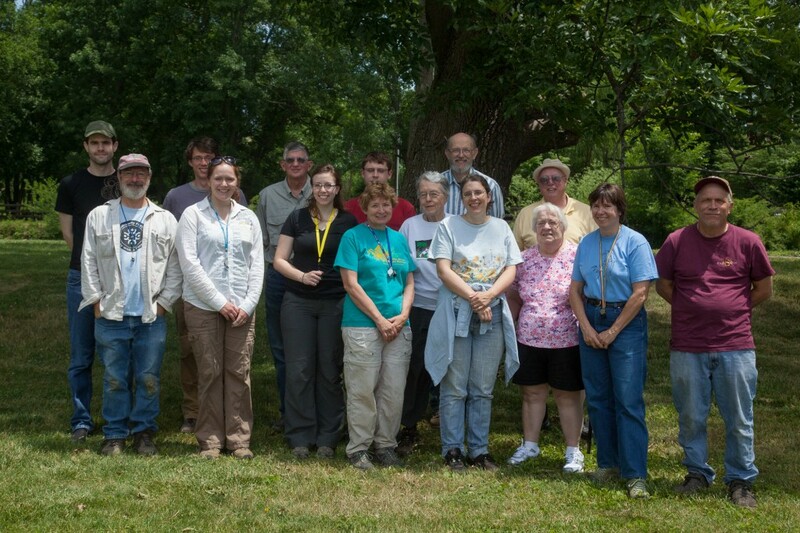 Organized by Barb Andreas and Ray Showman, the 2012 Spring (Summer) Foray was held in Fayette County on June 9. Seventeen members attended, including several students. OMLA visits Fayette County. June 9, 2012. Fayette County is mostly agricultural, with only scattered woodlots and a strean, Paint Creek, running through it. Fayette has been rather sparsely collected; only 21 macrolichens and 13 bryophytes were reported before this foray. In the morning, we explored the area along Paint Creek at Rockbridge Road. 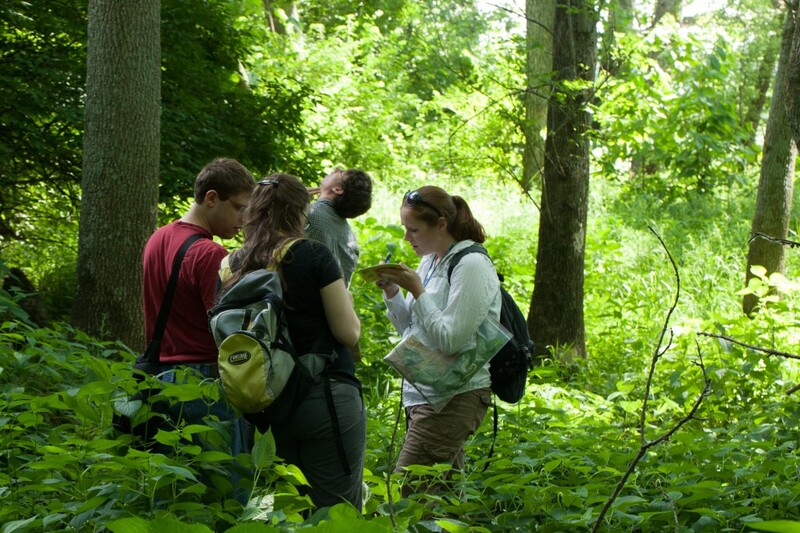 OMLA student members are interested in all things botanical. This wooded riparian corridor had some intriguing cryptogams growing on bark. One of them is a small pleurocarp with broad leaves tapering to points, the cells of which are strikingly papillose. Note also the clusters of asexual brood branchlets in the axils of some leaves. Papillose pleurocarp that occurs as small strands mixed with other mosses. After lunch, we explored a portion of swampy Eyman Woods. A total of 33 lichen species were recorded for Fayette County during this Foray, at the sites referenced above and also at Eyman Park in Washington Court House, and at several area cemeteries. This included 24 new county records, most of which are common species, but one corticolous foliose one is quite rare, having recently been in only 4 counties. 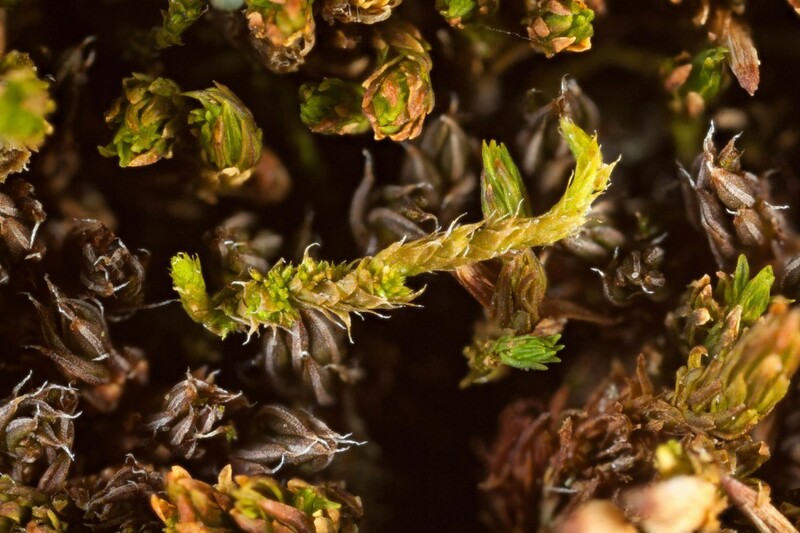 A total of 33 mosses and two liverworts were recorded, of which 23 are new county records. Species lists and additional details about the OMLA Spring Foray are in the 2012 OBELISK newsletter.